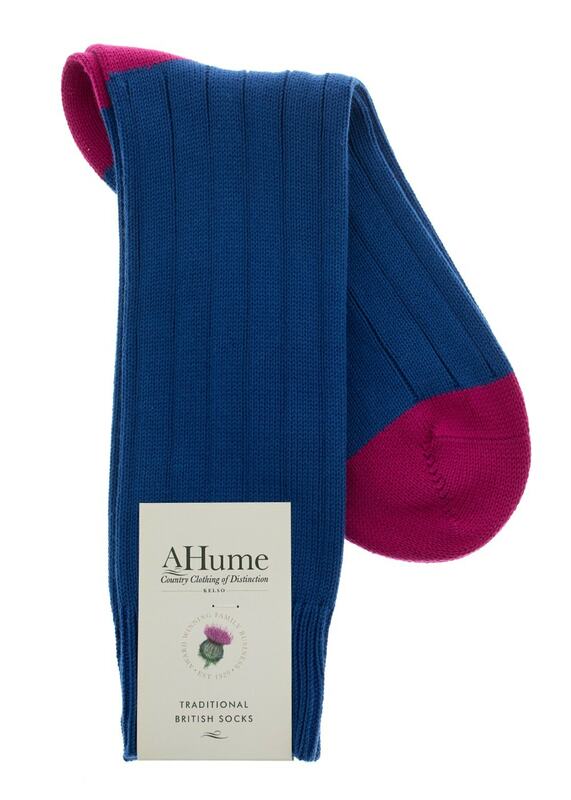 The Scott Nichol Oxford Contrast Heel and Toe Socks are traditional English socks made exclusively for A Hume. The Scott Nichol Oxford Contrast Heel and Toe Socks are traditional English socks made exclusively for A Hume. The contemporary colours of the heels and toes create versatile socks for both on and off duty. Scott Nichol socks are made at the Pantherella factory in the heart of England, where they are hand finished to the highest standards.